It was a good ride for thirty years. I was part of a brotherhood that made life worthwhile. My time with the Detroit Fire Department was full of adventure, scary stuff and a bonding with special people. I once described it as boarding a train full of heroes and being allowed to work with them until I grew old and retired. Along the way we would stop and bury the people we lost in action. There were outstanding successes like the job we delivered during the 1967 riot. We also protected the city during the Devil’s Night celebrations in the 1980s when the village idiots tried to burn the town down. It was thirty years of glory and accomplishment. I was able to lead my fellow Firefighters as the President of Local 344. I was honored and humbled by the task. The day came when it was time to leave the train. My heart was heavy as I watched old 344 leave the station without me. On that train were my friends and many of the young Firefighters that I had trained. One of them was my son. If God was to grant me one more wish, it would be to once again ride old 344. It was an awesome ride. I was able to exist during my retirement with the help of my beautiful wife Jo. We had fun. We traveled and partied with friends and family. Still something was missing. I decided to rededicate my life to promoting the Fire Service. I owed my fellow Firefighters everything I accomplished during my career. It was time to give back. The result was my website where I can relate the heroic actions of my running mates. Tragedy struck in 2009. I lost my wife Jo to cancer. 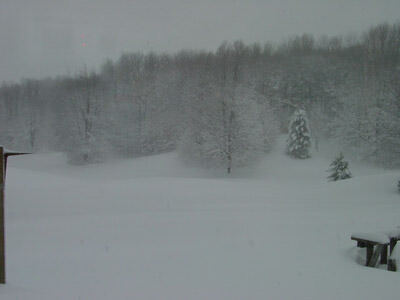 To fight the loneliness of a winter on the farm, I left northern Michigan for a jaunt around the country. I wanted to visit family and friends. I wanted to talk to Firefighters in different parts of the country. I wanted to put some adventure back in my life. The sixteen year old kid inside my body was screaming at my 75 year old body to get up and get moving. I kept a log of my trip. I e-mailed a select group of people about my daily exploits. It was fun. I want to share my road trip with all of you. There are 66 entries. I will post them periodically. There will be pictures. Please send comments and suggestions. No X rated stuff but if you can add anything that may help the Fire service, it will be appreciated. Here is Tripping with a Firefighter, 2010. I got off to a good start on Jan. 9th. I left Sharon's house headed for Chicago. It was clear all the way to Jackson Michigan. I ran into a snow storm. There were several spin-out accidents and one semi overturned in the median. I decided to stop at Joliet, Illinois where I walked around looking for the Blues Brothers but couldn't find them. At the Empress Casino I talked to a pit boss. He comped me a five star room for the night. The television showed the Cowboys kick the hell out of the Eagles. Grabbing the shuttle taxi, I headed for the casino. Riding with me was a big guy named Harley and his, Indian-Mex, girlfriend Jeannie. They told me that a poker dealer, named Oscar, was spreading a rumor that Jeannie was pregnant. They were going to talk to Oscar about it. They asked me to be the child's godfather in case the rumor was true. I signed up for a seat at the hold-em table and walked around to see if Jake or Elwood were in the Casino. I only found old fat ladies who were sitting at slot machines smoking. A loudspeaker called me to the poker room. A guy with hunched shoulders and a black patch over his eye took me to my seat. I thanked him and he replied, "Arrrrrr." I sat down and discovered that I was at a table where Harley and Jeannie were arguing with a dealer named Oscar. They were glad to see me and introduced me to the group as the "Godfather". The guy next to me edged his seat away from mine and didn't make eye contact. It was a fun group. The conversation was lively. On old timer at the end of the table said he had seven wives. We were amazed. I asked him how he did it. He said six of them were married to other people. It was a fun game and I ended up winning $80.00. It was getting late. I went to the bar to watch a three piece hillbilly band singing Johnny Cash tunes. The lady singer sounded exactly like Johnny Cash. She kind of looked like him too. The guitar players resembled the two mountain men from the movie “Deliverance”. The guy with no teeth kept grinning at me. I sat next to a lady who was singing along with the band. Her friend was playing the video poker machine with a vengeance. We started t talk and found we had several mutual friends. Deb, the sing-along lady, told me she was writer. Theresa, the other lady, said she had once been married to a Chicago firefighter. That is where we had mutual friends. She even knew about Sarge and Ghetto Skunk. These were two dogs me and my fellow firefighter, Greg Pearn, were introduced to while attending a Union convention in Chicago. They were Labrador Retrievers. The men at the fire house had painted black sergeant stripes on the shoulders of the yellow lab, the black dog had a white stripe running from his nose to the tip of his tail. We asked, "Why the paint job?' The firefighters told us the dogs liked to roam the neighborhood and frequently got lost. They said it made it easier for the Chief to see them when he made his rounds. He would pick them up and bring them home. It was nice to have mutual friends. It was like visiting with family. 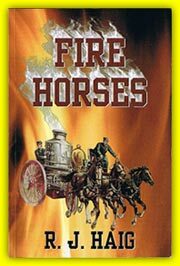 We talked about writing books and they asked me for a copy of "Fire Horses." I gave them one and Deb asked if I would review her latest effort at writing. I told her to e-mail it to me. I think I recruited her into a writer's club I belong to. I asked her if she wanted to come to my room to see some of my essays. She declined. It was a fun night and I turned in with a smile on my face. It was a good trip so far. this view from my window on Jan.1st, 2010.